Cupid is coming on Saturday, which means it's time to get your lips perfectly pouty. We've gathered five fool-proof rules to getting your smoothest, softest and most kissable lips ever. Not only does exfoliating make your lips soft, it also preps them for lipstick (like the red lipstick many of us adorn on date night). Exfoliate your lips by either using a cleansing brush (like Clarisonic), a toothbrush, or a lip scrub, says celebrity makeup artist Ramy Gafni. Gafni suggests creating an at-home treatment by mixing a teaspoon of honey with a teaspoon of salt and a teaspoon of sugar and combining the ingredients into a paste. Apply the mixture to your lips and then rub vigorously with your finger or a toothbrush. Pro tip: The act of brushing will automatically increase blood flow to your lips, but adding peppermint oil or cinnamon will help plump them even further. When our lips feel dry, a common reaction is to lick them. Turns out, that’s not the best way to go. Celebrity esthetician Renee Rouleau said, “When the lips are moist on the surface from your saliva, they attract moisture from deep within the skin and will evaporate into the dry air through osmosis." The best way to fix and heal dry, cracked lips is to use a conditioning lip balm and apply it throughout the day. “Even if you still feel the urge to lick your lips, the balm provides a barrier of protection to keep your natural moisture in the lips,” Rouleau said. “It tastes a little funny, I’ll admit, but using a lip balm with broad-spectrum SPF will prevent your lips from getting dry and sunburned,” said makeup artist Liz Washer. And don't forget to wear sunscreen on your entire face to prevent tan lines and protect your skin! Once you've removed your makeup at night and your skin is fresh and slightly damp after towel drying, apply a rich, nighttime moisturizer to your skin and an even richer balm on your lips, says Washer. This is especially key if your bedroom is air-conditioned and/or dehumidified (if you're traveling, ask the front desk for a humidifier — most hotels have them if you ask!). Internal hydration is also very important for your skin, so be sure to drink lots of water! 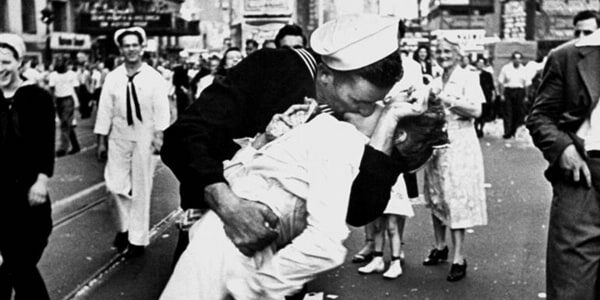 Rhett and Scarlett, Will and Kate, Bogart and Bergman, even Britney and Madonna – they all shared iconic lip-locks. 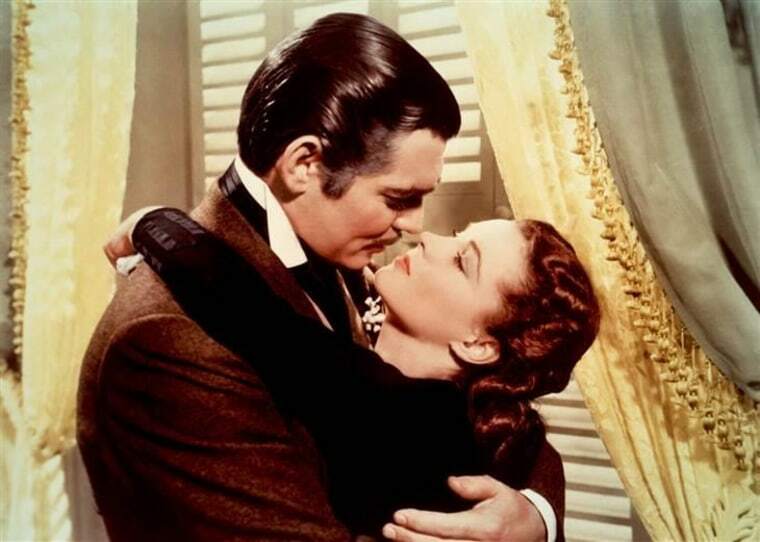 Get in the mood for Valentine’s Day with our colorful guide to classic kisses. Love these ideas? Share with your friends on Pinterest! This story was originally published on Feb. 13, 2015.